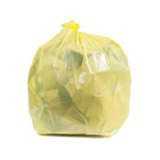 If you’re using these bags for storage, try the clear garbage bags. 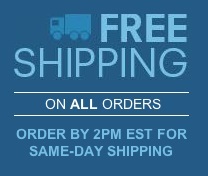 They let you see everything inside without needing to rummage around. 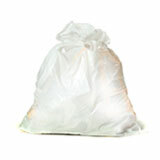 They’re also handy as recycling garbage bags to help you sort your trash before pickup. 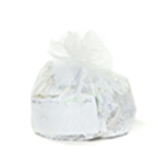 The clear trash bags are also helpful for anyone with a habit of absentmindedly throwing things away by accident: not that we’ve ever done that! 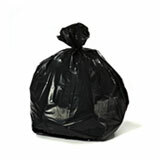 If you prefer to hide unsightly trash from view, the standard black garbage bags have you covered. 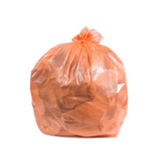 Because high density trash bags use so much less resin when they are made, they are extremely cost effective, which makes them a very economical choice for home or work. 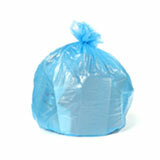 If you need a large quantity of garbage bags for high traffic areas, these can be extremely effective. 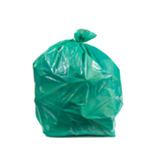 When you buy wholesale garbage bags, you pay much less per bag. 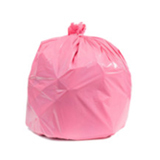 If you’re worried about committing to a big order of bulk trash bags sight unseen, let us put your mind at ease. 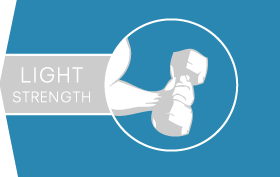 We’re experts and we love to share our knowledge with anyone who will listen. 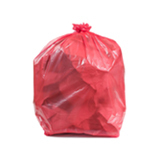 We won’t just help you pick out the perfect waste basket liners, we’ll ship them out the same day that your order them, and back those bags up with a 100% satisfaction guarantee!